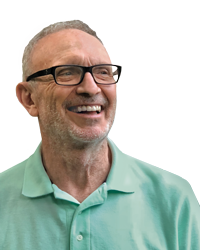 Our question-and-answer session this month focuses on Larry Pinto, who with his wife and fellow entomologist, Sandy Kraft, has published “Techletter,” a bi-weekly training newsletter for pest management technicians, since 1985. Based in Maryland, Pinto has authored or co-authored more than 20 pest management industry books and manuals, and is an in-demand speaker and consultant around the country. 1. You’ve been in the industry for more than 40 years, several of them spent as a columnist for our magazine. Looking back, who were your pest management mentors? Those who were helpful to me in my career include Dr. Gene Wood (University of Maryland) for urban entomology, John O’Reilly (Plunkett’s Pest Control) for effective training techniques, PMP Hall of Famer Dr. Phil Spear (National Pest Management Association) for the pest control industry, and PMP Hall of Famer Dr. Doug Mampe (DM Associates) for consulting. There were many others, too. 2. When and why did you first “fall” for this business? As a child I really loved fish, for some reason, and dinosaurs. But I never became interested in insects until I took my first entomology course. I started in pest management as a part-time technician at the University of Maryland in 1975, while I was an undergraduate studying entomology. But I “fell” for pest management as a graduate student studying insect ecology when I realized the relationship between ecology (the interactions between organisms and their environment, including other organisms) and pest management. 3. Which structural pest do you have the most respect for, and why? That’s a tough question. All pests deserve respect because, despite all the chemistry and technology we throw at them, they remain pests. It’s at best a standoff between the most advanced animal on the planet — us — and them. But the pests that I find the most challenging, which is perhaps the same thing, are rats, mice and bed bugs. 4. How do you define integrated pest management, or IPM? There are as many different views of what IPM is as there are people working with it. In scientific jargon, IPM is a systematic process for achieving long-term, environmentally sound control of pests through the use of many different tools and management practices. IPM differs from traditional pest control in that it is not based only on regular or automatic use of pesticides. Of course, defining IPM is a little more complicated than simply saying how IPM differs from traditional pest control. In my view, to be considered true IPM, a program should include monitoring, an emphasis on prevention, decision-making by technicians, nonchemical tactics and lower-risk pesticide applications, good records, and periodic evaluations to determine effectiveness and safety. 5. What are the top opportunities and obstacles facing the pest management industry today? A growing opportunity for PMPs is control of mosquitoes, ticks and other public health pests. Accelerating climate change has increased the number, distribution, impact and risks from these pests, and you can expect the trend to continue. If you’re not already offering these services, be aware that you’ll probably need an additional license, certifications, technician training, equipment, and even insurance. The greatest challenge for PMPs is providing pest relief to the poor and disadvantaged in low-income and affordable housing, especially for bed bugs and mice. Obstacles to success include inadequate budgets, high infestation rates, overcrowding and clutter, dilapidated buildings, rapid turnover, poor cooperation, poor landlord/tenant relations, language barriers, and downward pricing pressure from property managers and lowballing competitors. There are two obstacles specific to bed bugs: first, the insistence that bed bug control is a failure at less than 100 percent — sorry, it almost never happens in low-income housing — and second, the increasing numbers of bed bug lawsuits based on that standard.